This is my current top ten public domain games as 30th November 2010 after one month of setting up AmigaPd. This top ten may change over the coming months as I discover new gems. I have tried to select a variety of game genres but interestingly I ve noticed that most games in the list are fixed to one screen rather than scrolling platformers or shoot em ups. When all the top tens votes are in I will produce a users top ten which should be interesting. In the meantime I hope you enjoy my selection. 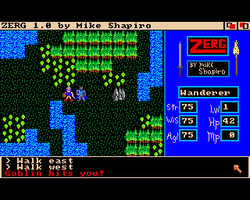 There were probably more addictive RPG available from Amiga Public domain catalogues such as Larn, Moria and Hack but these all had very basic graphics. I never understood why RPG fans should put up with poor quality graphics. 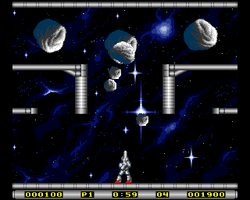 Questron 2 on the Amiga was one of the first games to address this problem with more advanced animation beyond simple stick men. Zerg similarly tried to improve the quality of graphics and drew me in to spend a few hours playing this. Platform games are one of my favourite genres and there are many good quality public domain platform games available. I've chosen this game as it is one I was unaware of at the time I originally had my old Amiga 500 and I have thoroughly enjoyed playing it since starting up AmigaPd. It has good quality graphics and a quirky character. As with most public domain platform games it can suffer from repetition but well worth a few minutes play. A great little puzzle game which has an immediate pick up and play design. 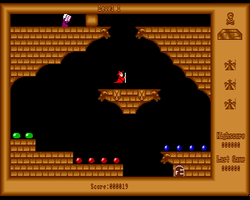 The idea is to move different coloured balls around the screen. You need to group all the same coloured balls together to make them disappear. I haven't progressed far in this game as the difficulty level increases sharply which is one of my criticisms however it still draws me back with the aim of solving the last problem. It was either this or Bi-plane. 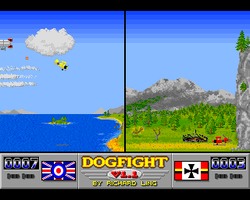 Both games involve two player 1st World War dog fights. Both games are good are creating the tension of pursuing your enemy. Loads of fun playing against a friend and blowing them out of the sky. I will upload this into the top 100 game download section - do not confuse with the dog fight games on the Assassin disks. One of my favourite games on the megadrive was Bomberman. The game cost £40. The big draw of public domain software was that you could get commercial quality games for the price of a disk. This is perhaps the best example of this. A fantastic version of bomberman and worth loading up when you have some friends around. A true gem of Amiga public domain. This game is A1200 only - if you are using an Amiga 500 then I would recommend Master Blaster. I will upload disk images for both games to the top 100 download section. I love the music to this game. It has a very steep learning curve. This is slightly counteracted by the fact that each time you start the game you do so on a different screen layout. This helps to keep the game fresh. The idea is a simple Paint clone - move a drip of water along pipes. They turn red as you make them rusty. 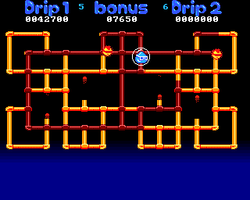 When all the pipes turn red the level is cleared and you move onto the next. Watch out for the enemies which patrol the pipes. A very good clone of Mr Do. Some of the best games writen limit the players area to one screen. It creates tension as everything seems claustrophobic. Think Pacman and Smash TV. 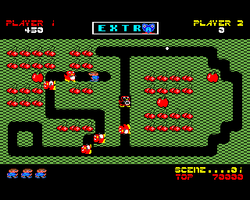 This is another fast pace arcade game where you avoid enemies whilst running around collecting stuff. Good clean honest fun. 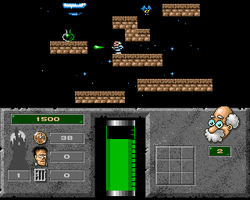 One of my favourite commercial games on the Amiga was Pang. Simple ideas seem the best for creating that addictive one more go mentality. This is a very polished Pang clone set in a futuristic setting. A great game which you don't have to think too much about and just focus on shooting things. Sheer bliss. Whilst I own modern game consoles such as a PS3 there is still something appealing about retro games. 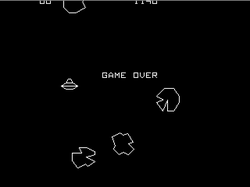 The first arcade machine I played as a youngster was Asteroids. It is often true that the simplest ideas are the most addictive and that is certainly the case with Asteroids. 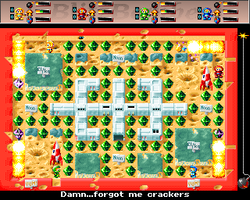 The game gets manic as the meteors start breaking up and flying around the screen. I know there are versions with better graphics and sounds available both commercially and on the PD circuit but there is something visually appealing of the simple black and white graphics which make the game instantly memorable. Perhaps a surprising choice for number one but this was the game which got me back into the Amiga Pd scene. This was the first game which I used transadf to transfer a disk image back to an original 3.5 disk to play on my Amiga 600. The reason why I was so desperate to play this game? 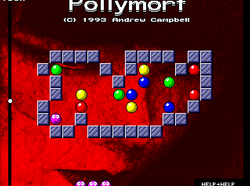 It is a great version of Solomon's Key, it has great graphics and wonderful gameplay. The idea is simple guide your companion to the exit. The only problem is you need to create a safe route for them by creating and destroying blocks. 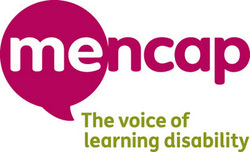 The puzzles are engaging and keep you occupied for longer that you realise. The only drawback is there is no skip option for the intro which does become repetitive. But this is only a minor complaint and overall this is a very professional game. I think I will go a load it up now. Hope you enjoyed the top ten !! !